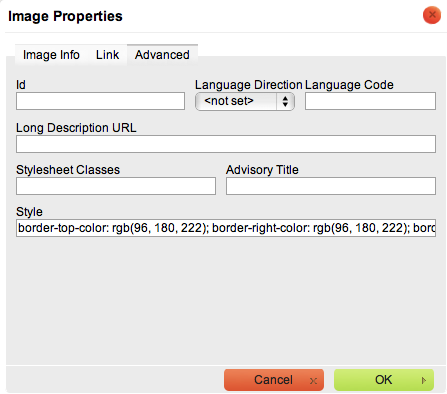 In the Image Properties dialogue box, you have access to specify additional CSS styling for that image in the Advanced tab. The Style box shows the CSS code inserted by default and you can edit directly into this field. You can enter additional CSS code to add border, colour, or otherwise adjust the image selected.